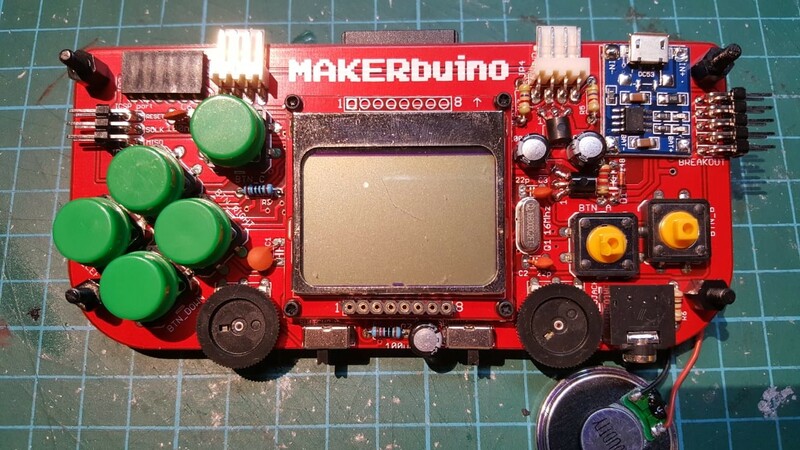 Had a great time building the MAKERbuino with my son. We mixed up the voltage regulator and transistor in Step #8. Desoldered and resoldered. Everything is working fine, and we can play the games on it. However, there’s no sound from the speaker and the headphone jack. 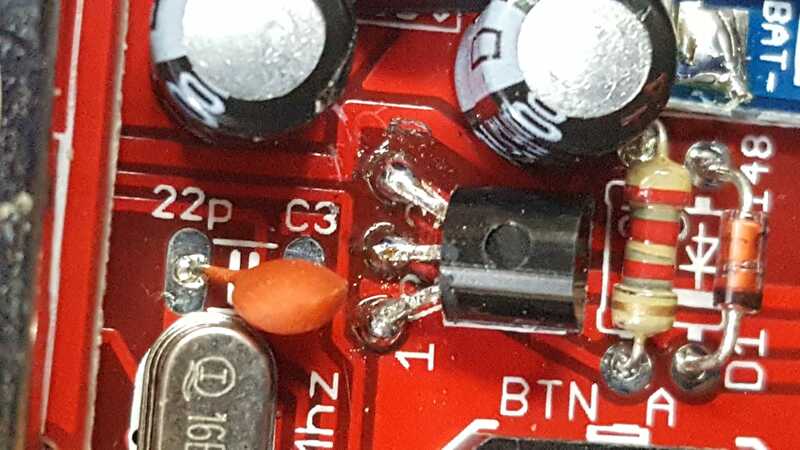 Did the mixed up cause the transistor to burn out? I’m sourcing for a new transistor from my local electronics shop. Hopefully I can find one. 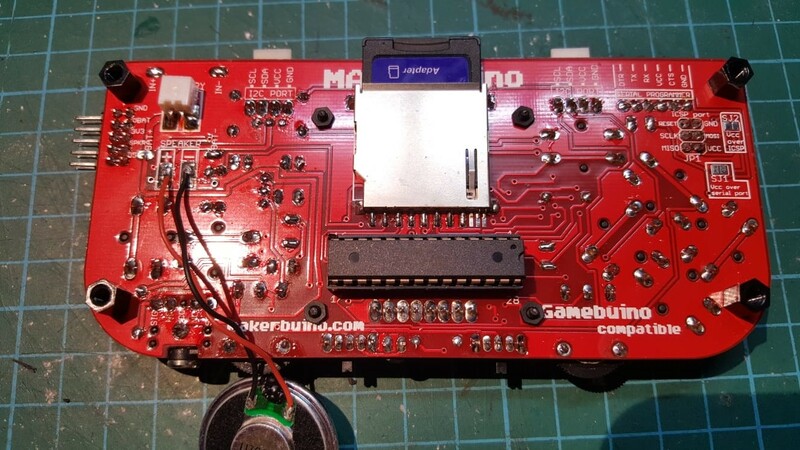 Please, send us some photos of your MAKERbuino’s front and back side as we really cannot help you without seeing your device. 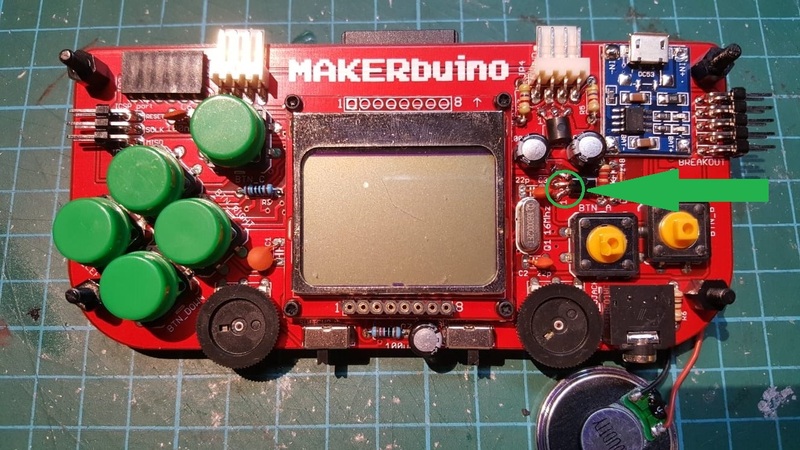 Please check the marked spot on your PCB. Can’t really tell due to the low resolution of the image but it looks like you’ve got a short circuit between the lower two legs of the transistor. Thanks for the comments. I managed to solve it by buying a new 2N222 transitor and soldering it on. Turns out that I did indeed fry the transistor when I soldered it wrongly lol. @cloudst3r, awesome! Way to go!